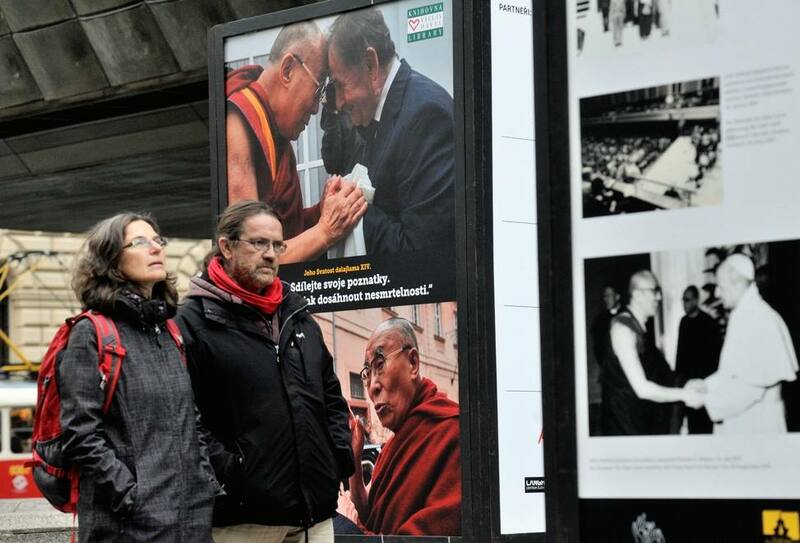 (TibetanReview.net, Oct17, 2017) – More than 150 people attended the inauguration of a photo exhibition on “The Life and Legacies of His Holiness the Dalai Lama” at the Tibet Open House in Prague, capital of the Czech Republic, on Oct 14, said the Central Tibetan Administration (CTA) at Dharamshala, India, on its Tibet.net website Oct 16. The exhibition was stated to feature the current Dalai Lama’s early life and responsibilities, meetings with world leaders, awards and honours received, books authored and co-authored by him and his three main commitments in life – Promotion of Human Values, Promotion of Inter-religious Harmony and Preservation of Tibetan Buddhist Culture. Geshe Yeshe Gawa, Spiritual and Cultural Director of the Tibet Open House, was stated to have given a lecture on secular ethics. The exhibition will remain open till the end of this year. The exhibition is being jointly organised by the Tibet Open House, the Linhart Foundation, and the Tibet Museum of the CTA. Tibet Open House, founded by Jan Mayer and Alexandra Macurová, is stated to be a long-term Far East project of the Linhart Foundation. Its programmes are stated to be aimed at introducing, supporting and offering to the general public the cultural heritage of the Far East in the plurality of its aspects. It is stated to be presently focusing on the region of Tibet. The House is stated to offer courses in Tibetan language, Tibetan history and culture, Tibetan Buddhism and Tibetan meditation, along with courses in Chinese language, Tai-Chi and Art Yoga.